Amy Johnson has lived in Yadkin County in North Carolina for her entire life, except when she attended college at Western Carolina. She loves to do anything outdoors, including walking, biking, and having time at the lake. 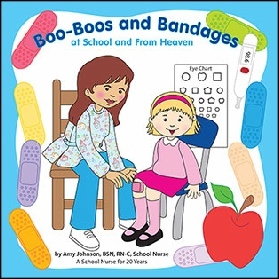 The author earned her Bachelor of Science in Nursing from Western Carolina University. Her first job was in the NICU at Forsyth Medical Center in Winston-Salem. After she left there, Amy worked as a Health Occupations Teacher at Forbush High School in Yadkin County Schools. 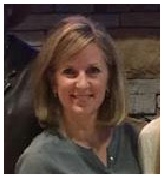 For 21 years, Amy worked as the Co-Lead School Nurse for a team of six nurses in the Yadkin County Schools. At the end of her tenure there, she worked at two elementary schools where she provided care to approximately 1,000 students. She loved her babies at her schools and considered them her blessings. Amy was also the Chair of the School Health Advisory Council (SHAC) Committee. She also served on the Epi-Team and Local Emergency Planning Committees for Yadkin County Schools with EMS and the Yadkin County Medical Clinic. Amy and her husband Zach have been married for 24 years as of August 2016. They’re the proud parents of two great kids: Tyler (a junior) and Macy (a freshman), who are both at Appalachian State University now. Besides her family, the author has a loving mom and dad, a sister and her family, and in-laws and all of their families. Amy has been blessed beyond measure by the good Lord. He has provided her with wonderful friends and family members and a great church. Losses and trials have been parts of Amy’s life journey, but she tries to enjoy every day because life can change in an instant. She’s witnessed that firsthand. She misses her retired School Nurses and her two School Nurse friends who succumbed to cancer too young. Paws and Claws Publishing, LLC.